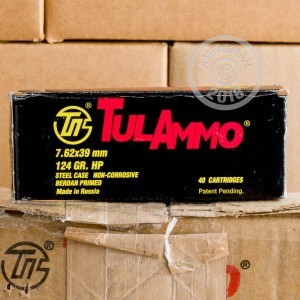 Tula ammo is an affordable option to get you shooting out at the range. These new production rounds are loaded into cost effective steel casings that are berdan primed and not re-loadable. Each projectile in this 1000 round case is a 124 grain hollow point that achieves an average muzzle velocity of 2,330 feet per second. 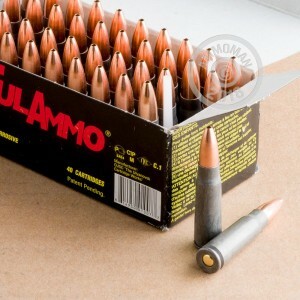 These are perfect rounds for volume shooting at the range, especially if you do not re-load your casings. 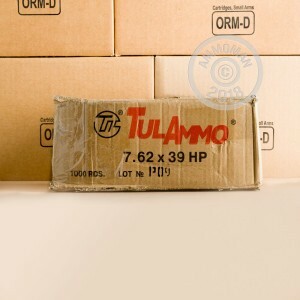 The Tula Cartridge Works was founded in 1880 and is one of the most significant producers of small arms ammunition in the world. Their facility is capable of producing billions of steel cased rounds each year and their products have a reputation for being affordable and rugged. Good news! At AmmoMan.com, all orders over $99 will receive Free and Fast Shipping! Order a case today and the shipping is on us!